Diet is the number-one most important factor for weight loss and meal prep is the easiest way to stick to your diet and shed those extra pounds! What if you could automate your entire diet every week to guarantee you stick to it and smash all cravings to eat junk food? Imagine how great it would feel to finally get your dream body, lose weight, and feel healthy all the time! 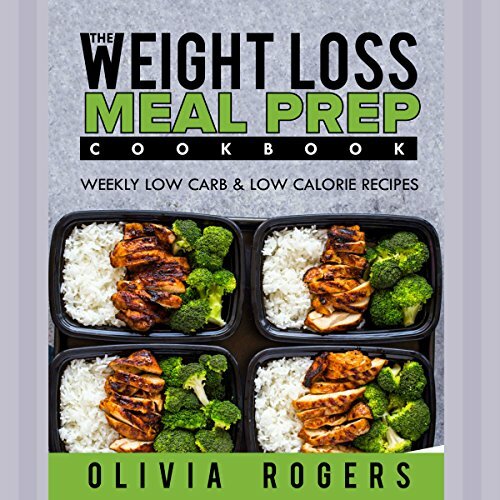 Multi-time best-selling cooking author and influencer, Olivia Rogers, shares with you the most powerful and proven way to succeed on a diet, lose weight, and improve your health - meal prep! With millions of her fans and listeners worldwide enjoying her cookbooks and recipes, Olivia has put together the tastiest meal-prep recipes that will have you shedding weight quicker than ever before (without feeling like you're even on a diet)! All recipes are low-calorie and low-carb. Do you hate putting in so much effort to lose weight but see no results? Do you wish you had an easier way to stick on your diet so you can finally achieve your dream body? Or if the idea of getting a proven list of meal prep recipes that just work, and help you lose weight quickly, sounds good to you...then this book is for you!